Hello. Several months ago, I do not think much about the fact that the hair needs to stay healthy and strong at home, too, and I can not treat it as you wish. Although strong hair, is also very fragile in a way, and we have to take care of. 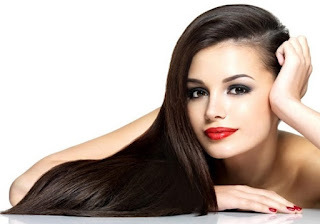 After these steps, you not only keep your hair healthy and also grow faster. Indeed, he made sure that all the nutrients and vitamins needed gets. Furthermore, these measures will make your whole body much more healthy. I started thinking about my hair healthy when I decide to grow dreadlocks, or as we say in Finland, for some reason, "dreadlocks", and not only do not want my hair to grow faster, but it also makes it more difficult to achieve dreadlocks is as good maybe from the beginning. I recommend everyone to read this advice, and obey them because they improve the quality of your life in many ways. You will not get sick so often, you will be stronger, you might still be alive much longer! Step 1: Make sure you eat healthy. This is the most important, certainly not. Eat many types of food, such as fish, vegetables, meats, fruits, etc. You should also eat daily multivitamin pills, zinc, magnesium and Calsium too. I do not think it has a direct effect, but omega 3 and 6 fatty acids are very important for the heart and veins. You get them from oily fish or pills. Fear not, there is nothing unhealthy taking pills as long as you take the recommended dose. Make sure you get enough protein in their diet. Some chocolate chips or occasionally does not hurt, but be sure to keep it as a special treat, not an everyday snack. This is simple. Drink. Water. 6-8 glasses of water a day is extremely important for you, and it's not a difficult thing to do. Yet, many people (including myself there just a month or two) forget to drink almost no water at all. When they are hungry, open a can of Coke and blow. Not. Of course, it is important for your health to take a shower every day, but just wash your hair with shampoo or these 2-3 times a week. That is about once every two days. This is because the shampoo cleans the natural oils from your scalp, leading to oily hair (to compensate for that, your body starts to produce more of these oils than it should of course), dandruff and many cases, the most fragile hair. Consider replacing your regular shampoo with a natural shampoo that is in the "hippie shops." This will not only save nature, but almost all conventional shampoos contain this gelatinous substance, which, after washing the shampoo left in the hair . This is how they do their hair, "shiny and smooth", but in reality is very unhealthy. Oh, I forgot. After the shower, not just vigorously rub the towel dry hair. Either no hair at all dry, or press the towel against your hair. If you paint your hair, make up to twice a day, and never when the hair is wet. If you have dandruff, you should comb the scalp once a week just before the shower with a comb like this in the picture. It very effectively removes dead skin, also known as dandruff, your scalp. One method that seems rare, but important is to take a little less than a teaspoon of coconut oil, rub it in your hands so that it melts, and then, no fingers, but the palms rub into hair ensuring that the scalp gets some too. For this, a half hour before going to shower once a week or more, and I guarantee your hair will be healthier. Coconut oil is very rich in nutrients, which are drawn into the hair and scalp, and also compensates for "shock" your hair get when you shampoo, leading to natural oils from your hair and scalp. Believe me, it sounds silly, but it's true. Try to relax as much as possible. In a stressful situation, either to defuse a bomb before it explodes, or finish a major project before maturity, stressing that it will only do one thing, and that negatively affects performance. He had a long day at the office? Stretch your neck, back and legs. This will not only increase traffic but releases tension. Too much stress over long periods of time can actually stop hair growth because your body decides it's more important to preserve all possible energy. This is also why people stress can be short. Exercise. Socialize. Eat healthy. They are very important for your health, fitness and mood. If, for you, the socialization word that makes you fight because they are just not as social, obeying the other two will make you more loved and more social. Stay in shape and general exercise rises from his self-consciousness quickly, and healthy eating .. so admits exercise. I hope this tutorial will help you develop strong hair, and keep your body healthy. I will ensure that, especially if you do not have healthy habits before, you will see the result in your hair condition in the first two weeks.